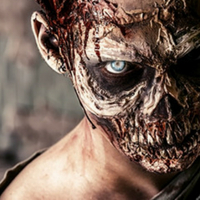 The witch is one of the most replicated Halloween looks of all time, meaning there’s tough competition if your aiming for the title of ‘best dressed witch’ at this year's trick or treat. That’s where our witch contact lenses come in, giving you an edge over your fellow witches without the need for witchcraft, they’re available in a whole host of colours and designs. Cheap to buy, yet safe to use, easy to fit and comfortable to wear, our extensive range of witch contact lenses has proven hugely popular with Halloween revellers, party goers, FX artists, Instagrammers and movie production teams. Aside from design and price, safety is probably one of your biggest concerns when it comes to buying witch contact lenses. 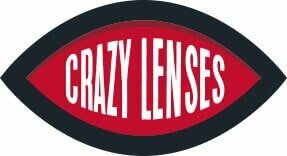 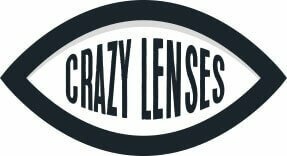 At Crazy Lenses, you can rest assured knowing that you'll receive a high quality, UK manufactured, pair of witch lenses. Not only that, but they are also FDA approved and compliant with the EU's Cosmetics Directive. Witches eye contacts Our witches eye contacts prove the popularity time and time again. They're great for creating the stereotypical witch look. Sorcerer contacts Sorcerer contacts are great for creating a supernatural look for the annual trick or treat, Halloween party or just for fun. Purple witch contacts are popular among those looking to create fantasy and alternative which looks as well as those looking to replicate a look from hit movie, The Witches.